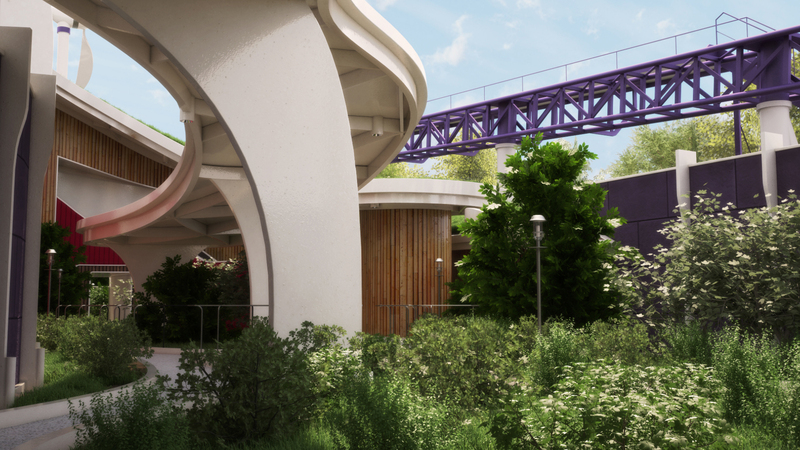 This project is a standalone attraction visualization. Today’s most thrilling outdoor roller coasters and attractions have large, exposed outdoor queues that are unbearable for park guests to wait in for extended periods of time. What if we were to design and build a totally refreshing and relaxing environment for an outdoor attraction that would help our park guests to actually enjoy the time that they spend in line? 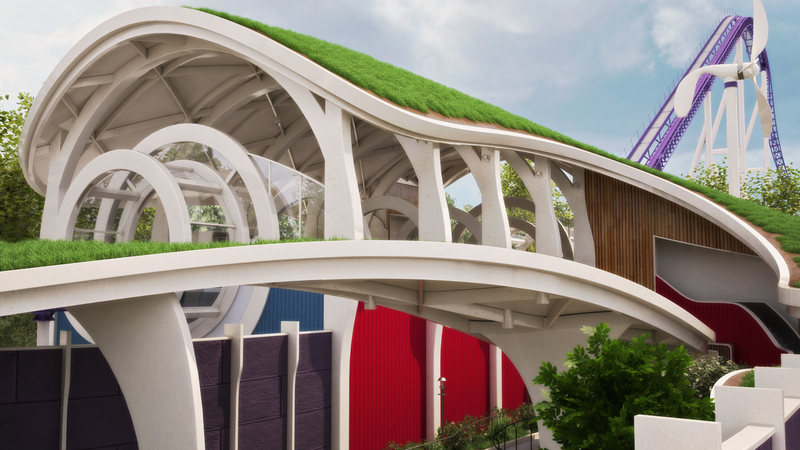 This project was developed through intensive research of queues from traditional amusement parks and theme parks, as well as of urban design and urban heat island effect. 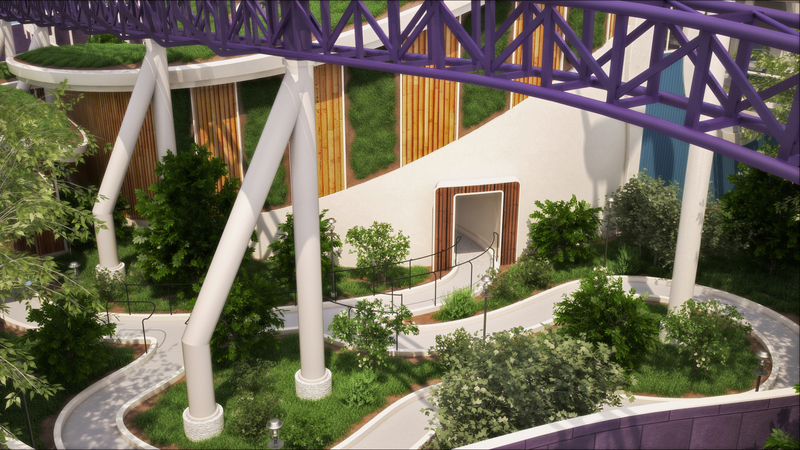 The roller coaster’s indoor entrance separates it from the outside world. The entire queue has a sense of forward progression in both areas. The queue does not rely on back-and-forth “switchback” pathways. Lovely foliage covers both areas of the queue, but doesn’t cover them enough to impede guests’ view of the beautiful sky above. The lush surrounding environment makes the queue very habitable and relaxing. In most cases guests would only see the people waiting directly in front of and behind them, reassuring the guests that the way they’re going is the most direct route.